UNC Real Estate Operations, including the UNC Property Office, manages real estate and property on behalf of the University, the Foundation, and the Endowment. These transactions include acquisitions and dispositions of real property by lease, purchase, sale, exchange, gift, easement or user agreement. The Property Office manages and leases office and retail properties owned by the Endowment and Foundation as well as residential rental properties owned by the State. 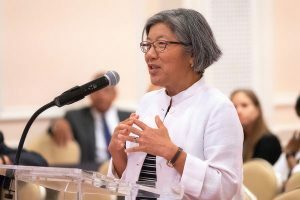 In her presentation of a draft Campus Master Plan to the University Board of Trustees on May 31, Associate Vice Chancellor for Facilities Services Anna Wu revealed a broad vision of a campus reimagined as a more welcoming, connected and service-oriented space.